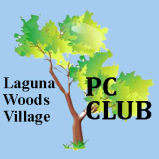 Currently, no computers, monitors, or printers are needed or accepted by the PC Club. ​and other Electronic Equipment from your home. ​If you have other suggestions or comments on electronic disposal, please Click on the Button Below or deposit them in the Suggestion Box at the PC Workshop.